Koko Taylor (September 28, 1928 - June 3, 2009) was an American blues musician, popularly known as the "Queen of the Blues." She was known primarily for her rough and powerful vocals and traditional blues stylings. Taylor was born as Cora Walton on a farm just outside Memphis, Tennessee. In 1954, Taylor left Memphis for Chicago with her husband, truck driver Robert "Pops" Taylor. In the late 1950s she began singing in Chicago blues clubs and was spotted by Willie Dixon in 1962, leading to wider performances and her first recording contract. Taylor was born as Cora Walton on a farm just outside Memphis, Tennessee. In 1954, Taylor left Memphis for Chicago with her husband, truck driver Robert "Pops" Taylor. In the late 1950s she began singing in Chicago blues clubs and was spotted by Willie Dixon in 1962, leading to wider performances and her first recording contract. In 1965, Taylor was signed by Chess Records, for which her single Wang Dang Doodle (written by Dixon, and a hit for Howlin' Wolf five years earlier) became a major hit, reaching number four on the R&B charts in 1966 and selling a million copies. Taylor recorded many versions of this Dixon-penned song over the past several decades and added more material, both original and covers, but never repeated that initial chart success. National touring in the late 1960s and early 1970s improved her fan base, and she became accessible to a wider record-buying public when she signed with Alligator Records in 1975. Recording over a dozen albums for that label (many nominated for Grammy awards), she came to dominate the female blues singer ranks, winning 24 W. C. Handy Awards -- more than any other artist. After her recovery from a near-fatal car crash in 1989, the 1990s found Taylor in movies such as Blues Brothers 2000. She opened a blues club on Division St. in Chicago in 1994, but closed it in 1999. Taylor released a new album in 2007 called "Old School." 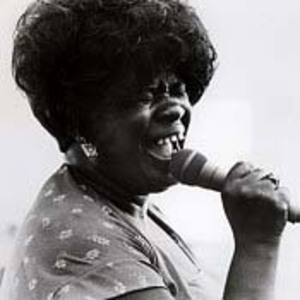 Koko Taylor influenced such musicians as Bonnie Raitt, Shemekia Copeland, Janis Joplin, Shannon Curfman, and Susan Tedeschi. Koko Taylor died on the afternoon of June 3rd 2009 (at the age of 80), while recovering from surgery to repair gastrointestinal bleeding. Koko Taylor is still referred to by fellow blues musicians and her fans as the "Queen of the Blues".